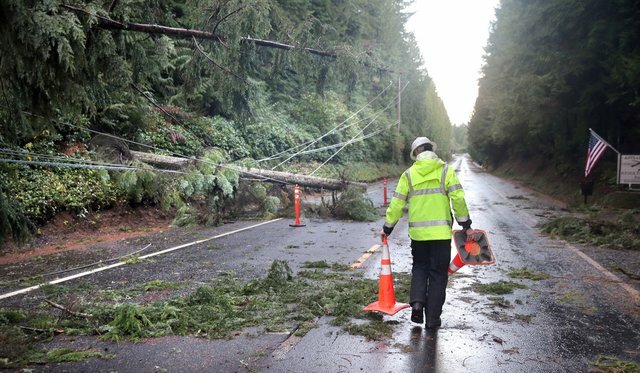 Storm after storm has rolled into Kitsap County this fall, knocking out electricity each time to hundreds, if not thousands of people. Yet I struggle to recall a single time that my Bremerton home’s lost power. And I’ve heard from others, too, that while the rest of the county’s sans electricity, the lights remain on in Bremerton. That got me curious, so I called Tom Brobst, Puget Sound Energy‘s municipal liaison manager. 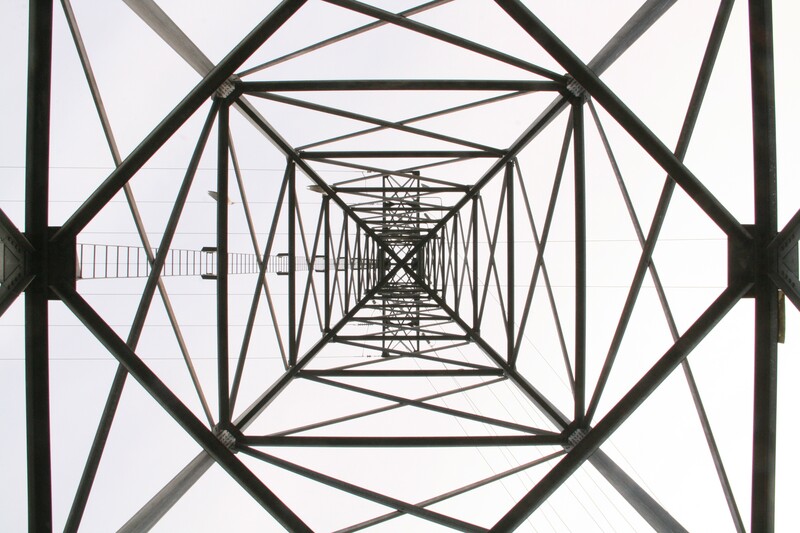 Tom knows Kitsap County’s electricity grid as well as anyone. There’s a variety of reasons, he told me, but the biggest one — and the most obvious — is trees. Trees cause so many more outages than anything else that a special kind of power line — built with a special coating on it so the wires continue to work even when impact — was developed, he said. The other main reason that Bremerton rarely loses power is that the power grid here is full of “loops” that provide backup even when one line goes down. “If there is a power outage, we have a grid (in Bremerton) that’s capable of picking up areas in the core,” he said. Here’s an example: if you live on a street in the city with a downed line, electricity will divert from another line nearby to restore power at your home. However, if you live out in the sticks, where the one line on the street goes down, there’s no other line beyond it that will feed you backup power. Bremerton also benefits from having Puget Sound Energy’s high transmission lines — the most powerful in the system, as you might have guessed — go right through the city. Those aren’t as likely to be lost to an outage. I remember when your home lost power Josh. It was the November ice/wind storm right before Thanksgiving maybe 5 years ago? That’s when you kindly opened your home to some of us reporters who couldn’t make it to our homes because the roads were icy and blocked by abandoned cars. However, downtown Bremerton (including the Kitsap Sun offices) never lost power. Yes, power does occasionally go out here. We talk often about that crazy storm. I’m glad I was able to host you and the others. I have lived in Navy Yard City since 2006, and I can only recall a single outage that didn’t last very long, and I do believe it had to do with an ice storm. But I didn’t care, I was out in it taking pictures. It really has been a great place to live. I’ve lived in Bremerton 15 years and I only lost power twice – and that was because a transformer blew. And it was the same transformer both times. the money they have to pay out to the work men, and the power polls that run 2000 each you think the company would say okay we are going under ground. dig and dropping a line would run a lot but in the long run they save so much money. And the people would love them when its cold and there is to way to cook a hot meal for the little kids that sit waiting in the dark in hope they get to be warm soon. just saying it be nice guys! It seems to me if PSE spent all the money they do on trimming trees every year they could install underground wiring.